Some excerpts from our interview with author Gregory Maguire, which initially appeared in September’s State of the Thing. 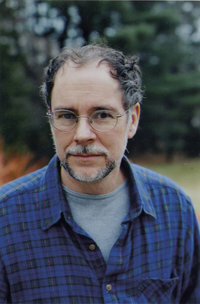 Prolific American author Gregory Maguire is best known for his adept reimaginings of classic children’s tales, like Snow White, Cinderella, and The Wonderful Wizard of Oz. His latest work, Egg & Spoon follows the adventures of a princess and a peasant girl—along with a host of interesting and absurd companions—in their home country of early 20th century Russia. Maguire’s passion for children’s literature extends beyond writing, into teaching, as well as co-founding Children’s Literature New England, a nonprofit devoted to promoting awareness of the significance of literature in children’s lives. 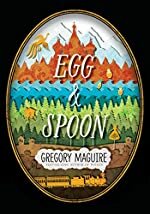 Loranne caught up with Gregory this month to talk writing, reading, and witches, particularly Baba Yaga, who appears in Egg & Spoon (released earlier this month). For readers who haven’t had a chance to read Egg & Spoon yet, can you give us the nutshell version of the story? Egg & Spoon—imagining a high-concept spin such as they parody in skits about Hollywood—is The Prince and the Pauper, except with girls, meets Frozen, except everything is melting instead of freezing. This book has stories nested within each other, much like the iconic, and, here, ubiquitous matryoshka dolls. Why did you choose to structure the narrative that way? One instance of maturation, I think, is when the innocent untried soul comes to appreciate other ways of being, other peoples’ needs. Nesting stories one inside the other is a way of making sure that the characters have to grate against one another, often uncomfortably, as they accommodate themselves to ways of being that are foreign, unsavory, or just weird. This is part of how children grow up (and part of why reading about situations other than those you know perfectly well already is such a joy and offers such benefit). Your Baba Yaga is full of anachronism, whimsy, and life. I read that you were a big fan of the Baba Yaga stories that were published in Jack and Jill magazine when you were younger. What other sources did you draw upon in conjuring such a vivid and timeless character? A friend who read the book recently said that Baba Yaga reminded her of Phyllis Diller. I am glad I didn’t think of that myself… Though your question puts me in mind of other grotesquely egocentric characters. I shall restrain myself only to characters in literature, not in the political sphere… Baba Yaga, as I see her now that you ask, is a little bit of Vicki Lawrence’s Mama in those Carol Burnett skits; and a little bit of Barbra Streisand being Dolly Levi; and maybe Madeline Kahn in Blazing Saddles; and certainly Miss Piggy. But this is a review of influences after the fact: the witch just spoke herself to me with wit, with lacerating antagonism and iconoclasm, and with the loopy disassociatedness of someone on the edge of a mild mental disorder. Many adult readers know you as the man who brought The Wicked Witch of the West to life, and now you’ve given us a Baba Yaga who is many things, including relatable. What is it about witches that draws you to them as characters? I mostly love the fact that because of their power and their insularity, witches don’t have to answer to anyone nor to fashion their behavior to suit the proprieties of their neighbors. I myself am hopelessly accommodating. This makes writing about witches both therapeutic and inspirational to me. The next time I get another request to give to a good cause I’ve already paupered myself over, I can think, “What would Baba Yaga do?” and behave accordingly. And then make plans to go into the Witness Protection Program. Egg & Spoon is narrated by Brother Uri, an imprisoned monk who sees events unfold through the eyes of birds. Who or what inspired Brother Uri’s character? Another friend who just read the book pointed out that “Uri” is the way you pronounce the final two syllables of the name “Gregory.” Brother Uri is selfish, myopic, anarchic, but his intentions are good. I myself have worn glasses since I was six. The book is full of axiomatic statements that, I felt, really rang true—”That’s the beginning of heroism, the decision to try,” “Liberty is costly, but so glamorous,” for example. Are these based on things you believe, or are they more the product of the nature of the story? What a good question! Axioms like the ones you mention—they all come from Brother Uri—are dependent on the story for their resonance. And yet, as the story itself and its meaning derive from me, I suppose you could make the case that these statements are things I do believe in, or I wouldn’t have conceived of the plot points that would make those statements ring true. »For more from Gregory, check out our full interview here!